Flip a coin. If heads, this does 20 plus 20 damage. 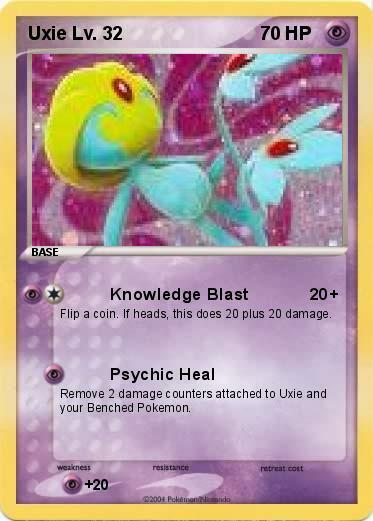 Remove 2 damage counters attached to Uxie and your Benched Pokemon.